Whether you're seeing it again or for the first time, The Nutcracker will capture your imagination and make your holidays shine bright. 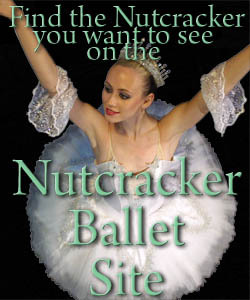 Perfect for the entire family, this fanciful tradition features Marie, the Nutcracker Prince, and all your favorite characters as they dance to Tchaikovsky's treasured musical score. Set in 1920's Paris, Tulsa Ballet's The Nutcracker is an ode to both the era that inspired Tulsa's art deco skyline, and the city that shaped the language of ballet. This remarkable production features the visuals of a Broadway show, and more than 100 local children join the professional company to help the larger-­than-­life Mouse King battle the Nutcracker Prince and his toy soldier brigade. Audiences of all ages will be enchanted by this theatrical holiday production.